Drawing on experience from working with some of the biggest names in Australian wine, Nigel Dolan has won many awards for his character-filled, flavoursome wines. In addition to two coveted Jimmy Watson awards (Australia’s most coveted award for one-year-old red wine still in barrel), Nigel has won nearly every other major red wine Trophy in Australia, including Winestate magazine Australian 2009 Winemaker of the Year. Like his father Bryan, Nigel Dolan graduated from Roseworthy College and commenced winemaking at Seppeltsfield in 1981. 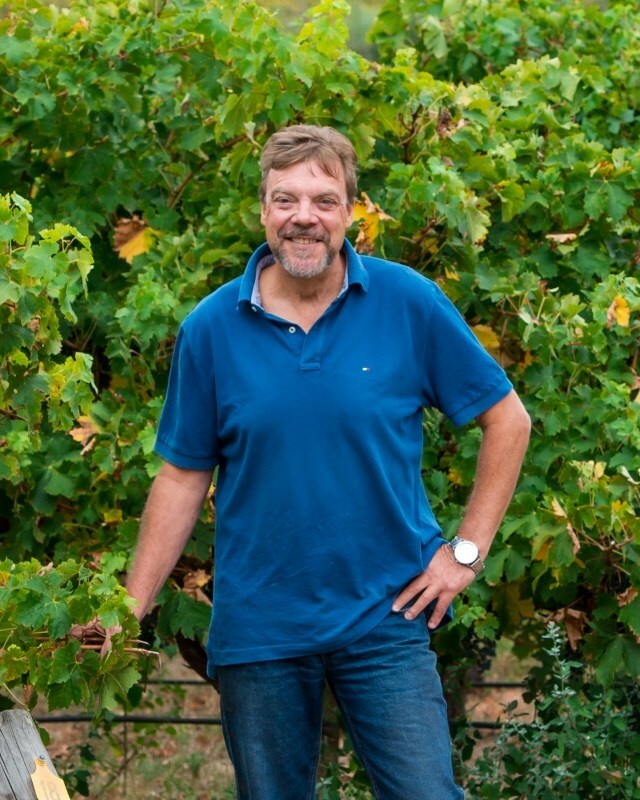 With Seppelts, Nigel held a number of positions working initially as assistant fortified winemaker, then on to Senior Red winemaker as well as Winery Manager for both the Chateau Tanunda and Seppeltsfield Wineries. Aside from Pinot Noir there is probably not a Red wine trophy in major Australian shows that Nigel’s wines have not won at least once. Significant wins have included the Brisbane Wine Show’s Stodart trophy three times (1985, 2000 and 2003) and the Jimmy Watson Trophy twice, in 1992 and 2003. In 1992 Nigel joined Saltram as Senior Winemaker and Winery Manager. During his 15 years at Saltram, Nigel kept winemaking responsibility for all of the Saltram wines while also undertaking other roles, including Group Red Winemaker for the Fosters Wine Group until he resigned in 2007, and then Chief Winemaker for Wyndham Estate until 2011. In addition to being the Director and Chief Winemaker for Dolan Family Wines, Nigel was a Senior Winemaker at Dorrien Estate Winery in the Barossa Valley until 2018, when at age 60 he decided it was time to concentrate solely on the Dolan Family Wines brand. Living and growing up at Saltram in the Barossa, Nigel’s son Tim Dolan took a shine to winemaking at an early age, often to be found helping out the crusher crew after school during vintage time. In 2008, Tim completed his Oenology degree at The University of Adelaide. Before, during and after his studies, he has worked and gained vintage experience in the Barossa Valley, Hunter Valley, McLaren Vale, Ontario and The Napa and Sonoma Valleys in California. For the entirety of 2011, Tim worked as a Contract Winemaker for Peter Lehmann Wines in the Barossa Valley, gaining much experience under the stewardship of Chief Winemaker Andrew Wigan. After spending some time travelling and working overseas in 2012, Tim returned to Peter Lehmann Wines. You can read more about Tim’s journey and role at Peter Lehmann’s here.